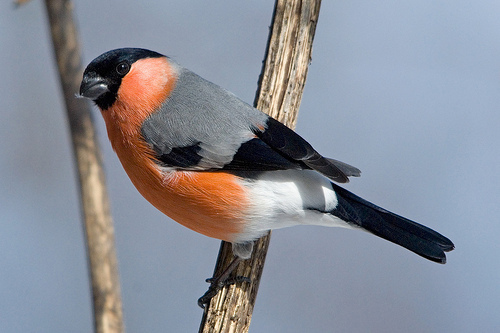 The male Bullfinch has a bright red breast and looks squat and fat. The female is brown, both male and female have a black crown. It is a beautiful but rather shy bird. 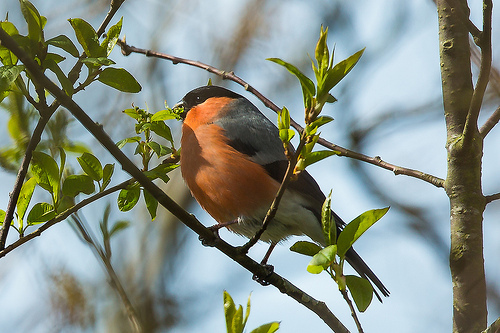 The Bullfinch has a black crown. The crown of the Chaffinch is grey.